When I think about it, it was probably through engaging in the CREATIVE PROCESS – in just about every possible way — that my unique life path was rescued. Years of puddling around in paints, making silly sounds, and flipping words like pancakes, helped me become as resilient, pliable, adaptive, persistent and faith-filled as I am today. 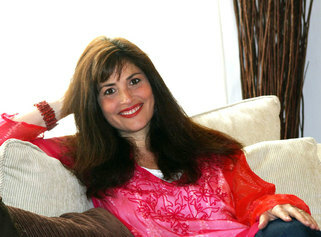 Rosy Aronson has a Masters in Expressive Arts therapy and a Doctorate in Intuitive Listening & the Creative Arts. She is a registered Drama Therapist, an ordained (non-denominational) minister, as well as an experienced Human Design and Gene Keys counselor. Rosy has worked as an artist, ritual crafter and creativity event facilitator for groups and organizations. She is also the author and illustrator of A Tale of Serendipity – an unfolding tale for the open-hearted child in each of us, and a call for global change that is driven by love and not politics. Disclaimer: Rosy Aronson is an ordained minister and provides something more akin to spiritual counseling than psychotherapy. The work she does is with highly functional people, for whom ‘spirit’ plays a central role in their life. She does not give diagnoses, work with pathology, or claim to be an expert offering a treatment or cure.